Nonantum Boxing Club is excited to announce their new FREE Youth after school program. Starting this fall school year we will be holding FREE afternoon boxing classes for youth ages 10-17. Sessions are held on Tuesdays and Thursdays after school for 90 minutes. If a student expresses interest in furthering their boxing journey, there is an opportunity to train with our elite team on Monday, Wednesday, and Saturdays as well. Our goal is to help students in character development, confidence and discipline as well as increase physical fitness and body awareness through the sport of boxing. Our focus is on teaching proper workout methods and proper nutrition to the students, reinforcing a healthy lifestyle that many kids lack. All students in the program will work out together in a team atmosphere, as well as incorporate many individual based drills and activities. We also have an area for studying. Space with tables and chairs will be available for those who need to study or do homework. We hope to work closely with teachers and guidance counselors to check on students progress in classes. As part of the requirement for every student, we will monitor grades and report cards must be presented. We are excited for the upcoming year and look forward to welcoming all Student-Athletes who are interested in the program. This is just the beginning! 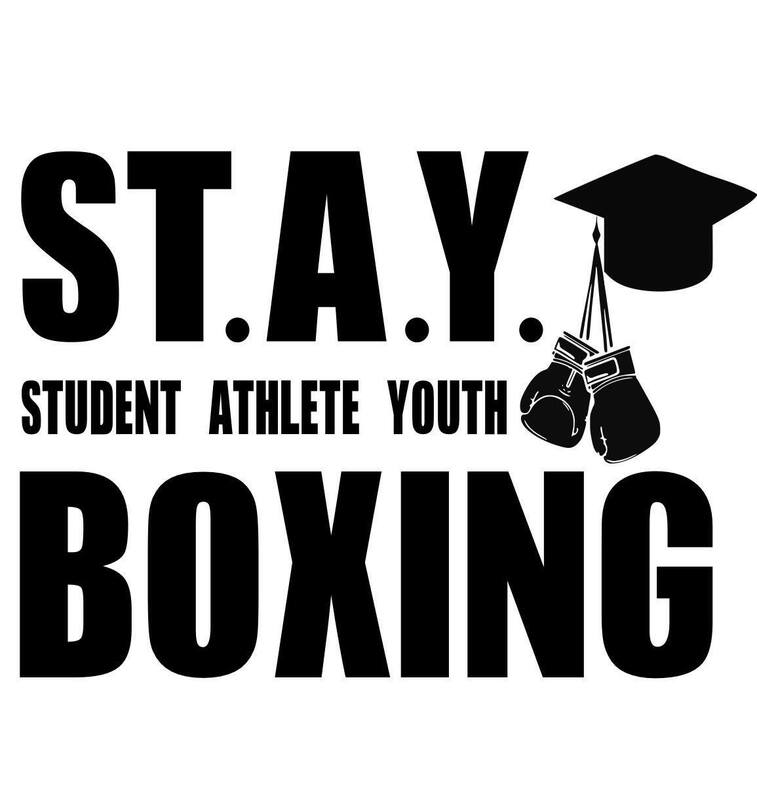 The STAY Boxing Program is a 5013c charity program designed to give kids a free after-school outlet where they can practice boxing and also work on schoolwork in a fun, positive, and disciplined environment.